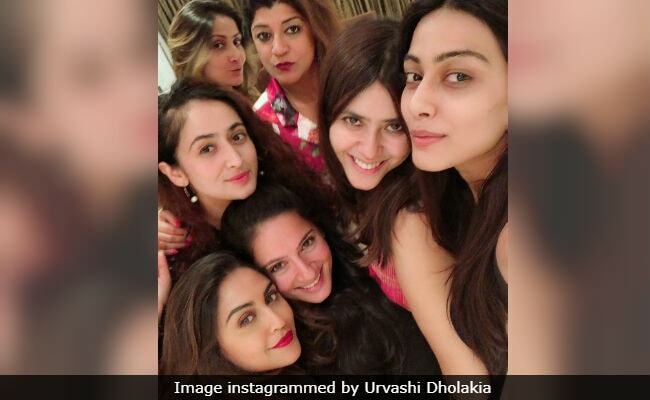 Ekta Kapoor and her girl gang including Urvashi Dholakia, Krystle D'Souza, Kanchi Kaul, Anu Gaur, Ruchikaa Kapoor and Charu Mehra caught up on Tuesday night and fabulous pictures from the get-together were instagrammed by Urvashi and Ekta. "Stepping out after so long was so needed and what better way than to start my week by meeting My lovelies my billis," Urvashi captioned the post in which she shared multiple selfies. Krystle D'Souza, Kanchi Kaul, Urvashi and Charu Mehra have all starred in at least one of Ekta Kapoor's television shows at some point while Ruchikaa Kapoor is he vice president of Ekta Kapoor's Balaji Telefilms. Ekta Kapoor recently launched Kasautii Zindagii Kay 2 with Erica Fernandes and Parth Samthaan in lead roles. The original series, which aired in 2001, featured Urvashi Dholakia as the principal antagonist Komolika. In the new series, actress Hina Khan reportedly plays the role of the villain in Anurag and Prerna's love story. Though Urvashi spilled the beans on Hina Khan's casting, neither the Yeh Rishta Kya Kehlata Hai actress nor Ekta Kapoor have confirmed the development. 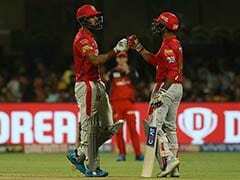 Kasautii Zindagii Kay 2 went on air last week and it fetched positive reviews from fans of the original series so far. The basic premise and family dynamics of Kasautii Zindagii Kay 2 are same as that of the original series with soft changes to the plot. Apart from Kasautii Zindagii Kay 2, Ekta Kapoor is busy with the production of several web-series through AltBalaji, a branch of Balaji Telefilms, which focusses on short films and web-series.